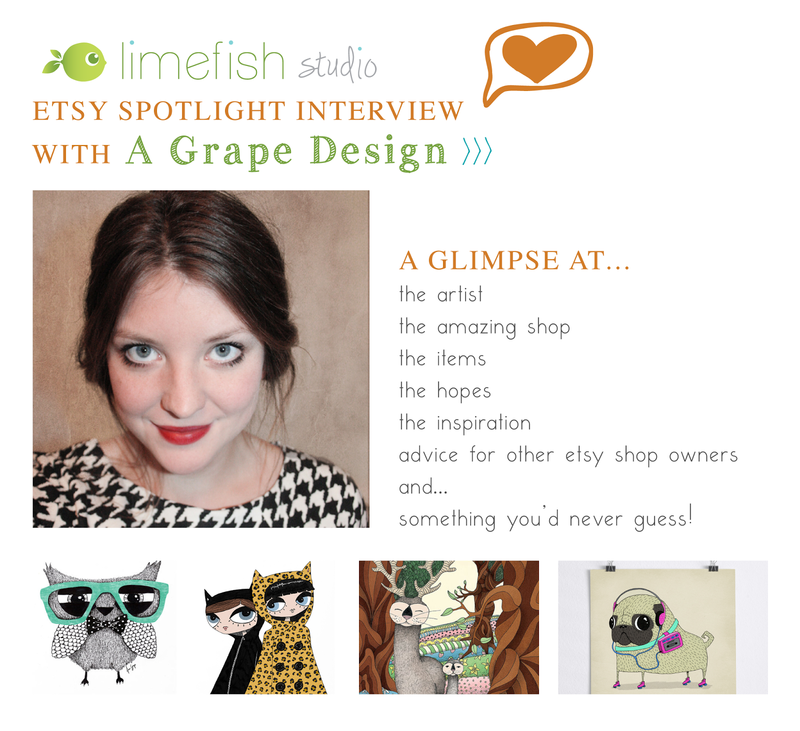 Many thanks to Karin, the Etsy shop owner of A Grape Design, for participating in an exclusive little interview for us! ► Since my name is Anna Grape, and it becomes A Grape if I shorten it, I thought A Grape Design made sense, and also was a bit funny since it kind of sounds like a great design. ► I designed it myself, and it doesn’t really have a story behind it unfortunately. I just wanted it to look clean and modern. ► I sell prints with my illustrations, and sometimes other stuff I just feel like making! In the past I’ve sold necklaces and I also have some clothes with my illustrations on. But the prints are the main thing. My style is often very colorful and fun, with a sense of humor. 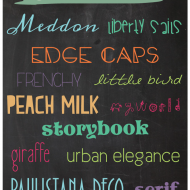 Do you have a “top seller” or personal favorite item? ► My collection with different pugs are pretty popular, and also the ones I like best! 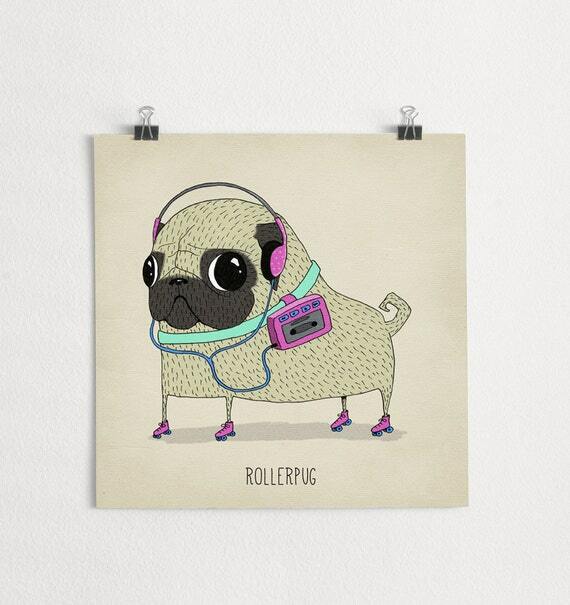 My favorite one is Rollerpug. I also love my new collection called Mods, I’m very proud of how they turned out! ► In Norrtälje, north of Stockholm in Sweden. ► It can come from anything; music, tv-shows, other illustrators, fashion. Mostly just from my head! ► My boyfriend, my dog and my computer. And candy. ► Beans. I hate beans. and always ends up having to do everything last minute. ► Have a steady income from my freelancing and not having to worry about money all the time. ► Always deliver on time, and always be nice to the customers when they have questions! Please join us in thanking this amazing Etsy shop owner for taking the time to participate in our spotlight interview! Visit A Grape Design now!